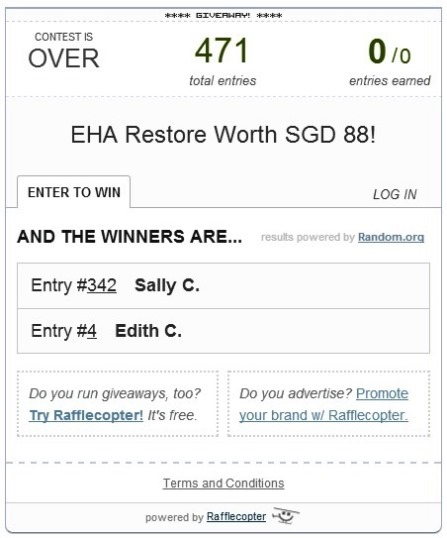 You are here:Home » EHA Skincare » Winners Of EHA Restore Worth SGD88 By Dr Elias Tam!! Sally Chai & Edith Chong! Winners, please acknowledge in the comment box below with your email address within 48 hrs or another winner will be selected!! Upon seeing your acknowledgement, I will follow up with an email informing you on the collection details at #EHAClinic. 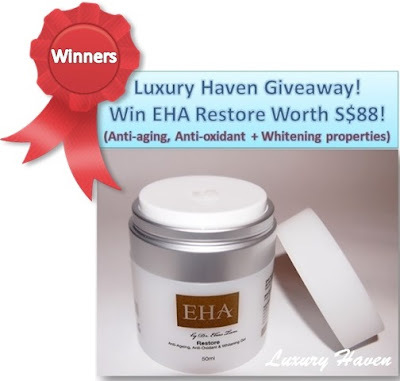 Thank you for all your entries at Luxury Haven’s Giveaway: Win EHA Restore Worth SGD88 By Dr Elias Tam!! Thank you again EHA, for sponsoring this Giveaway! 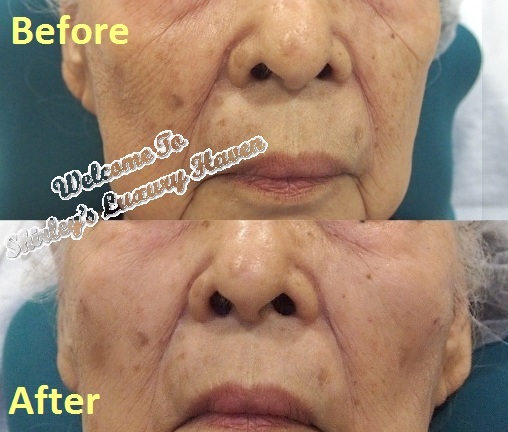 Dr Tam is also the aesthetic doctor for my mom’s #dermalfiller treatment some time ago. Read more @ Reverse The Effects Of Aging With Restylane Dermal Fillers! If you’re not in the winning list, hop over to DIY Plastic Flowers + Beaded Accessories Giveaways to try your luck! 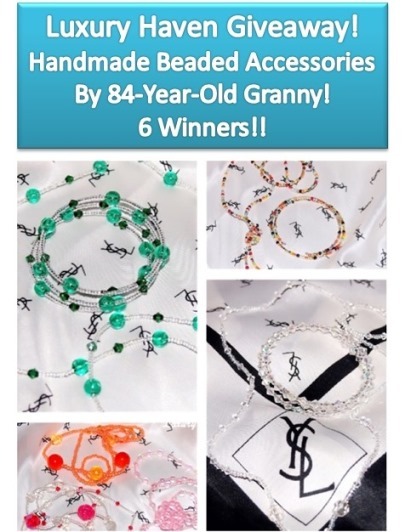 The Giveaway is Open to All Worldwide, & these lovely #HandmadeAccessories are put together by my mom! See you there & good luck to your entry! Thanks Luxury Haven given a chance to win the EHA gift ! Thanks Luxury Haven given a chance to win the EHA gift !!! Aweome, Sally! Will be emailing you.......Congrats again! Congratulations to the winners! May they stay younger & happy looking always!